I’ve deleted all links from the rest of the post since it is out of date. Today (7/19) at 5 PM ET, the Citi Prestige® Card‘s current sign-up offer is changing. I do not know what the future offer will be, but I don’t think this is good news. When we got the same news about the Citi ThankYou Premier in January, its sign up bonus went from 50,000 points to zero. So if you’ve been thinking about signing up for the Citi Prestige® Card, now is your last chance. I get a lot of questions about the Citi Prestige® Card because it is an awesome and complicated card. How Long Until the Priority Pass Membership Card Comes? You can’t get into the hundreds of Priority Pass affiliated lounges by flashing your Prestige; you need a Priority Pass membership card. My Priority Pass card arrived about a week after I was approved for the Citi Prestige® Card. The Priority Pass card comes automatically; you do not need to request it. What is The Priority Pass Lounge Access and Guest Policy? All you need to get into a Priority Pass lounge is a Priority Pass membership card, not your Prestige, and not a boarding pass for any specific airline. What is the American Airlines Admirals Club Lounge Access and Guest Policy? To get into an Admirals Club you need to show your Prestige and an American Airlines boarding pass for a flight departing within 12 hours OR one that has arrived within 12 hours. You can use Admirals Clubs before and after the journey as long as you fly American Airlines. If you fly another carrier, you cannot use the Admirals Club. How Do You Get $500 Worth of the Air Travel Credit in the First Year of Cardmembership? The $250 Air Travel Credit is per calendar year. If you max out the $250 in 2016 and $250 more in early 2017 before your next annual fee is due, that is $500 worth of Air Travel Credit in the first year of cardmemebership. 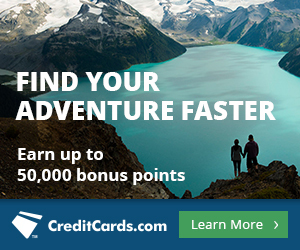 I got $500 in Air Travel Credits in my first year of cardmembership. What Counts as a Purchase that Will Be Offset by the Air Travel Credit? Citi also explicitly says “lounge access and some in-flight purchases” will count. I know that internet purchased from Gogo does NOT count, but presumably food and duty free purchases would count. I’d also expect other fees like airline change fees, seat selection fees, and upgrade fees to count. If the charge shows up as being from an airline, it should count. Do Airline Gift Cards Count? If the charge shows up as being from an airline, it should count. As far as I know, all airline gift card purchases through an airline’s website do show up as purchases from that airline. If the charge shows up as being from an airline, it should count. American Airlines and Avianca process their own mileage sales, so they’d count. Many airlines do not process their miles sales, using points.com instead. Those purchases would not count. Do You Have to Designate One Airline to Receive the Credit With? You automatically receive up to a $250 credit per calendar year to offset all purchases from all airlines. You do NOT have to designate one airline. For that matter, you don’t have to do anything. 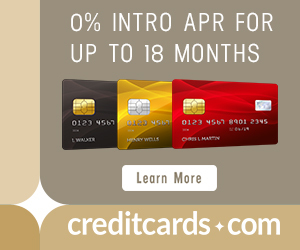 The credit is automatic following the eligible purchases. How Does the Fourth Night Free Benefit Work? If you book a hotel by phone through the Citi Prestige Travel Concierge Service you should pay the same publicly available rate on the hotel’s website, and after paying with your Citi Prestige® Card, you’ll get the cost of the fourth night including taxes refunded to you. You get the fourth night free, not 25% off. That means you can strategically book a stay, so that the fourth night is by far the most expensive, and you can save more than 25% on the total bill. Here are some examples of that, think Tuesday to Saturday in Las Vegas or December 28 – January 1 in Times Square. If you find a hotel rate that offers the fifth night free on paid stays, you can get the fourth night free with the Prestige and fifth night free with that offer, which could be 40% off on a five-night stay. Not all hotels are eligible for the fourth night free benefit, but all the hotels you can find by searching here should be. Which Is Better for Paying for a Hotel, a Prestige or a Hotel’s Own Credit Card? Generally the Citi Prestige® Card with its 3x points on hotel spending and no foreign transaction fees, though there are a few exceptions. Why Do I Want Global Entry? For the time it takes to fill out an application and interview once with U.S. Customs and Border Protection (maybe two hours between the two activities), you get to speed through immigration and customs for five years. Plus you can use your Known Traveler ID to get TSA Precheck and speed through security too. It’s well worth $100 to me, but you can get it free by paying the application fee with your Citi Prestige® Card and collecting the $100 offsetting credit. I Already Have Global Entry, Can I Use the Credit for Someone Else’s Application Fee? Yes, either give them your credit card number to pay the fee or give them a Citi Virtual Account Number with a $100 limit. How Do I Combine my Prestige’s Points with Points from My Citi Preferred or Premier? The Citi Prestige® Card has the best redemption rate, but occasionally another Citi card offers a better earning rate or a big sign up bonus you want. You can redeem points from other cards at the better rate for redeeming Prestige’s points by combining your accounts. It is very easy. Here’s how. How Do You Redeem Points for Free Flights on Any Airline? Go to thankyou.com and search for flights. Prices are displayed in dollars and points. If you choose to pay with points, you will get 1.33 cents of value for each point for most airlines and 1.6 cents of value for American Airlines flights. The airline will see these tickets as paid tickets, so you will earn miles and status like on any paid ticket. How Do You Get 1.6 Cents Per Point Toward Free Flights on American and its Codeshare Partners? American Airlines markets flights that are actually flown by over 20 airlines. All of these codeshare flights are available on thankyou.com and offer 1.6 cents of value per point. Can You Partially Pay for Flights in Points? Imagine a $160 flight on American Airlines. Or any other combination of points and cash. Each point is worth 1.6 cents off the cash price. How Do You Transfer Points to Airline Miles? ThankYou Points have 12 airline transfer partners. You can transfer ThankYou Points to them at a 1:1 rate on thankyou.com. What Are the Best Transfer Partners? How Does the Prestige’s Golf Benefit Work? You get three free rounds per calendar year at over 2,400 possible courses including TPC and PGA courses. Here are the full rules. How Does Card Compare to Other Cards? How Does Prestige Compare to AMEX Platinum? A comparison of sign up bonus, benefits, fees, and more. How Does Prestige Compare to AA Executive Card? How Does Prestige Compare to ThankYou Premier and ThankYou Preferred? What are Citi’s Application Rules? Citi will not approve more than one card in a week or two cards in two months. So to get three Citi cards, I recommend applying for them on Day 1, Day 9, and Day 66. Furthermore, if you’ve had a Prestige before, your old one must be closed and must have been closed more than 24 months ago for you to get the bonus on a new Prestige. Right now the Prestige offers outsized value. One of the constants in the milesphere is that outsized value doesn’t last. I have to take down this offer at 5 PM ET today. I expect the new offer to be worse. Hurry to get the current offer! Per DOC, Admirals access is going away 6/2017. Big blow to the benefits in my view.